Dale Carneige talked about it in How to Win Friends and Influence People. Rhonda Byrne talked about it in The Magic. So has William Penn, Harold Kushner, and the Dalia Lama. They have all talked about kindness to others. Random acts of kindness affects the person on the receiving end in a positive way. By performing random acts of kindness you also improve your life. Research shows that when you are kind to others, you are rewarded in several ways. Researchers in Great Britain had participants take a survey (Journal of Social Psychology) measuring life satisfaction, The group that practiced kindness experienced a significant boost in happiness. 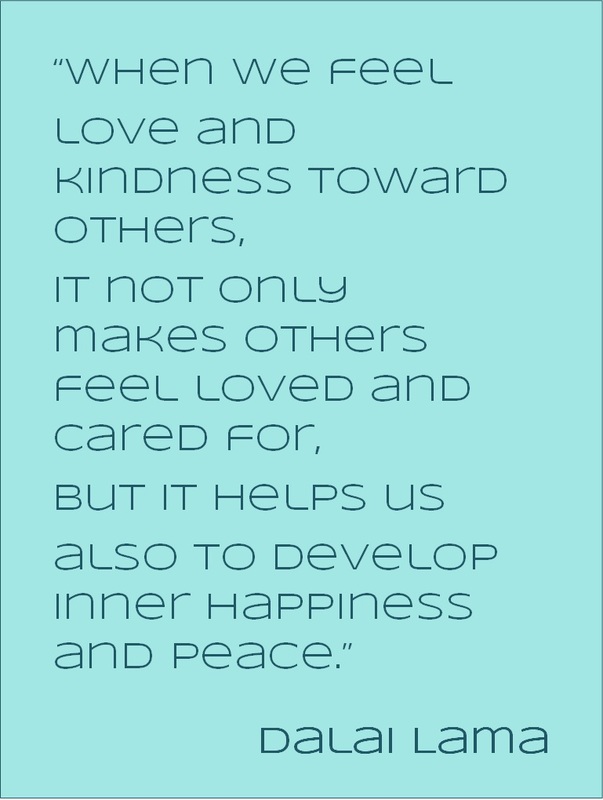 In 1991, Allan Luks (former Executive Director of The Institute for the Advancement of Health and Executive Director of the Big Brothers and Big Sisters program in New York City) documented a study about kindness in a book called "The healing power of doing good: The health and spiritual benefits of helping others". 1.) Helping others contributes to the maintenance of good health and can diminish the effect of minor and serious psychological and physical diseases and disorders. 2.) The rush of euphoria often referred to as a “helper’s high” after performing a kind act involves physical sensations and the release of the body’s natural painkillers, the endorphins. The initial rush is followed by a longer period of calm and improved emotional well-being. 3.) The health benefits and sense of well-being return for hours or even days whenever the helping act is remembered. Reduces feelings of hostility and isolation that can cause stress, overeating, ulcers, etc. Decreases the constriction in the lungs that leads to asthma attacks. 5.) Helping can enhance feelings of joyfulness, emotional resilience, and vigor, and can reduce the unhealthy sense of isolation. 6.) The awareness and intensity of physical pain can decrease. 7.) Attitudes such as chronic hostility that negatively arouse and damage the body are reduced. 8.) A sense of self-worth, greater happiness, and optimism is increased, and feelings of helplessness and depression decrease. 9.) When we establish an “ affiliated connection” with someone (a relationship of friendship, love, or some sort of positive bonding), we feel emotions that can strengthen the immune system. 10.) Caring for strangers leads to immense immune and healing benefits. 11.) Regular club attendance, volunteering, entertaining, or faith group attendance is the happiness equivalent of getting a college degree, or more than doubling your income. Just like a smile, kindness is contagious. Your act of kindness will brighten someone's day who then in turn performs a good deed. The The good feelings spread from one person to the next - rippling through your community. In the end it improves the lives of everyone. I remind myself that it is also important to be kind to someone who has been rude or unkind to me because I don't know what is going on in their life. Maybe there was a death in the family, a serious injury or illness, a divorce. My kindness may be "the most magical thing that happens to them that day". Smile. It is contagious. I try to remember to do this as much as possible. Be kind to cashiers. Customers are more likely to take their frustrations out on the cashier. You would be amazed how grateful a cashier is when you are patient and kind. Say thank you, mean it and look the recipient in the eye when you say it. If you can, give the reason you are thankful. When thinning out your wardrobe, give some clothes to a friend or donate to charitable organizations like the Salvation Army. I always do this one. When you no longer want items in your home, offer them on Freecycle. Someone will respond to your ad then go to your home and pick it up. I like Freecycle for giving and receiving. It's purpose is to prevent items from filling up our landfills. Offer to help someone. Sometimes your offer is all that is needed to make someone feel good. Pay for the order in the car behind you in the drive through. This has happened to my husband a few times and he has now started doing it too. Send out birthday cards. It's always fun to receive unexpected snail mail. Put a bookmark in a library book that has an inspirational quote on it. Pick up the tab - Go up to the waiter and pay when no one is watching. Avoid gossip - No need to spread any negativity. Give the painter, electrician, or handyman a glass of cold water. Be understanding - Assume the best in others. If someone is running late or has called in sick don’t assume they’re trying to get out of something. When you are shopping, pick up a non perishable item to toss into the stores food bank bin. Help clean up your neighborhood by picking up garbage. When you neighbors are going away for a while, offer to watch over their house and collect their mail. When a store has a donation drive and the cashier asks if you would like to donate a dollar to ..... say yes. Offer to babysit for friends and family. When parting from a loved one, always say "I love you." It may be the last thing you ever say to them. My family does this - even when we are angry with each other. No regrets. Randomly grab your kids, hug and kiss them. I do this all the time with my granddaughters. I should do this more with my daughters. When you pay someone back money, give more than you borrowed to show your appreciation. Shovel your neighbors sidewalk and drive-way. Write a thank-you note to a mentor or someone who has influenced your life in a positive way. Surprise your parents by cleaning the house when they are out. Volunteer. There are so many volunteer opportunities out there that you can find something that interests you and fits into your schedule. Let someone know they have toilet paper stuck to their shoe or their skirt is stuck in the top of their pantyhose. Spend time with your parents and tell them how much you love them and appreciate them. Lend a good book or movie to a friend. If you find something that is not yours, return it to the rightful owner. Offer someone to go ahead of you in the check out line. Offer your seat on the bus or train to someone who might need it more than you. Pay for a strangers meal at a restaurant. This actually happened to me when I was out with my three daughters and three grand daughters. It was a very pleasant surprise for sure. Offer some perennials to a neighbor. I did this last summer. She was very happy and planted them right away. Apologize when you accidently bump into someone. I like this one. I don't how many times I've been given a dirty look for bumping into someone. I apologize and smile. Slip a $20 bill to a person who you know is having financial difficulty. Bring some baked goods to work to share with your coworkers. My coworkers are really good for this. There is always something yummy available in the lunch room. For one week, act on every single thought of generosity that arises spontaneously in your heart, and notice what happens as a consequence. Give someone fresh produce from your garden. Most people grow more than they can eat. Offer a piece of gum. Make a positive comment on a blog. Make someone laugh who looks like they really need one. Donate a percentage of your company's profit. Give a bottle of cold water or warm cup of coffee (cream and sugar on the side) to a bus driver. Knit or crochet for a cause. Take someone new under your wing. Make a care package for someone you know is going through a rough patch. If you are baking, make a second batch to give to a neighbor. If you have nothing else to offer, offer your support. Buy someone a treat when you are at the store. If you see someone drop something, stop and help them pick it up. Sponsor a child's sport team. You don't always have to win. Sometimes the other person's feelings are more important than being right. Put change into a vending machine. Leave a gift for a friend or neighbor on their porch. Stay after a party and help clean up. Wave to your neighbors while walking or driving by. Be a big brother or sister. Set up a fundraiser for someone in need. Secretly drop loose change in the grass at a park and watch the children run around happily picking it up. Donate books to the local community center. Children in our community go to the center on their birthday and receive a book. Send flowers to someone just because. Treat a friend to a movie. Offer blogger advice when you see someone needs help. Buy items from your neighborhood children when they are fundraising. Pick a child from the wish tree to purchase a Christmas gift. Drop off a home warming gift to someone who has just moved in next door. Give away your unused tickets at the carnival. Praise children when you see them doing something nice. Be a good listener - pay attention when someone is speaking to you. Give a gift to a friend or family member just to say I was thinking about you. Let someone vent - to get it all out without interrupting or judging. Ask the person next to you how their day is going. Tell the cashier to have a nice day before she/he has a chance to say it to you first. Say it with a smile. Stick up for someone who you know will not stick up for themselves. If you're angry, don't have an outburst. Keep calm. It is better to say nothing at all than to hurt someone's feelings out of anger. It is important to remember that each and every person you meet is a daughter or son, a brother or sister, a mother or father, an aunt or uncle, or grandparent. They are precious, loved and irreplaceable. They deserve our patience and kindness. Wow, this post is Cathy's favorite at My Favorite Posts Show Off Weekend Blog Party. Thanks Cathy. Her blog is called, A Peek Into My Paradise. She had this to say, "Great tips! One of my favorite movies is Pay It Forward. Love this post. Thanks for sharing!" Oh my gosh, a great big thank you goes out to Natasha from Grow With Epic Mommy for choosing my post - this post as her favorite post at the My Favorite Posts Show Off Weekend Blog Party. 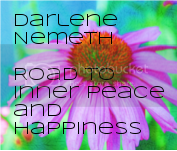 She featured my post on October 24, 2013 and had this to say, "My favorite goes to Darlene Nemeth. A random act of kindness can definitely improve one's life! The power to do good for someone else. I am in charge of volunteerism at work. Usually when I tell my people to do it, I tend to get resentment. Once they're there, the whole attitude changes within them and they wonder why they complained in the first place. Give it shot! You'll feel good about yourself!!"